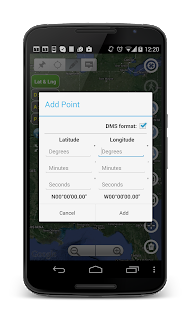 [Android] New "Distance and Bearing" feature in Planimeter v4.3 - adding points on the map via length and angle inputs. 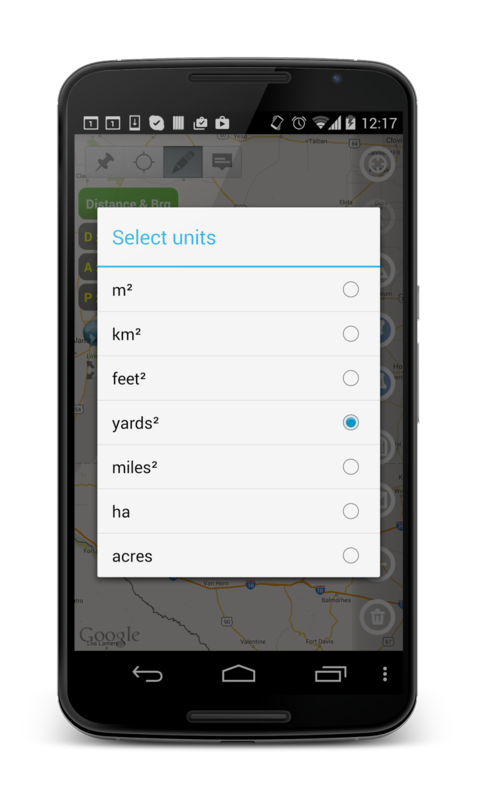 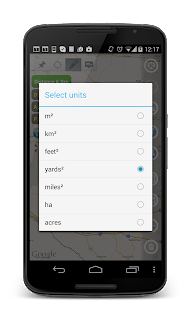 Planimeter v4.3.0 for Android introduces new way of adding points to Google Maps for measurements. 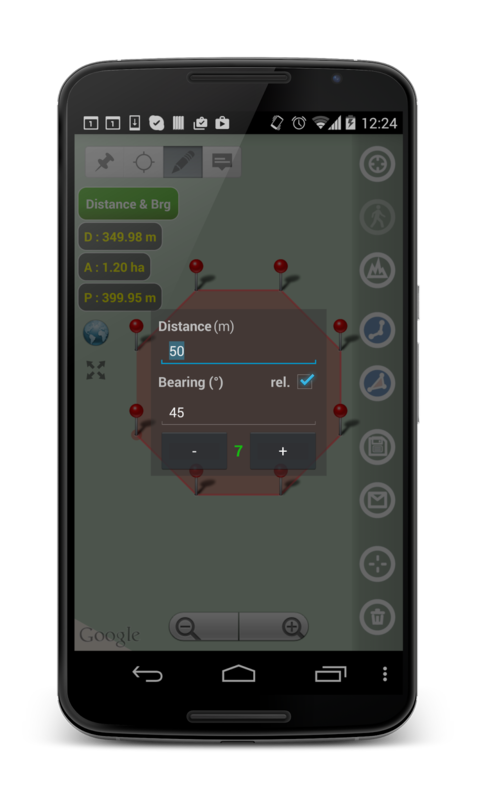 Planimeter users have been asking for an option to add points via length and angle inputs (like in Autocad). 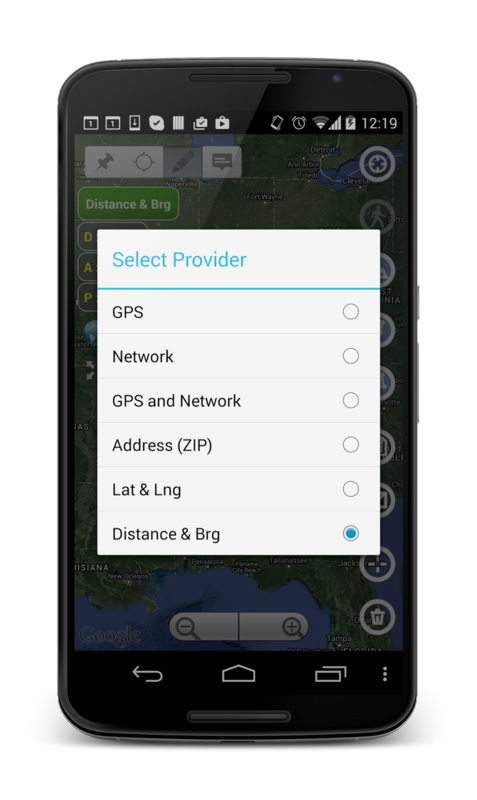 Now this feature is available from location provider list (green button) under "Distance & Brg". 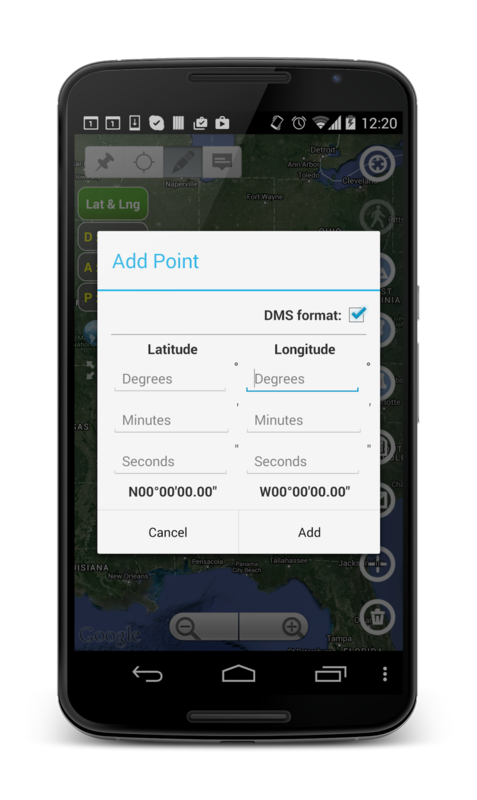 With this feature you can quickly lay out any shape on the map with exact dimensions and orientation; measure regular polygons on a map surface with couple clicks. 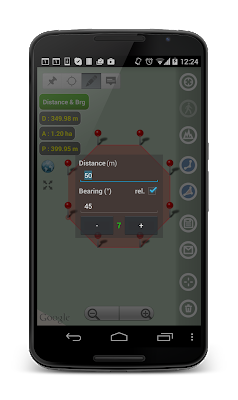 - CHECK, if you want to use relative angle (calculated from the direction to the last point, opposite to the direction to the North. 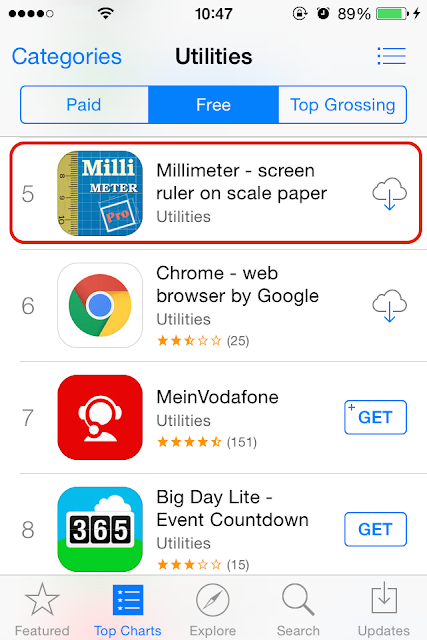 [iOS] Millimeter Pro - reached the top 10 apps in the Utilities category in App Store Europe.